What's a site like Facebook to do? Introduce live video. Kids love live video. Adults like live video. Live video is better than regular video because it's live, which means it's inherently newer than basically everything else because it's happening right now. Okay, real life is also happening right now, but it's not on camera, and people like being on camera. Point is, Facebook Live launched a month ago for iPhones in the US, and now the company is working on attracting the cool kids (and their parents, preferably popular ones) who don't use Apple products. 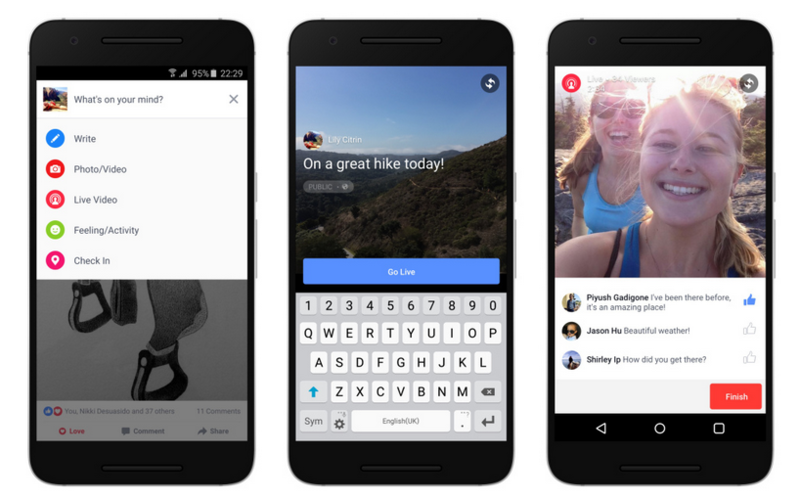 Facebook Live is scheduled to start rolling out to Android users within the next week. You can share live video by tapping the "What's on your mind?" bar above your News Feed. As you record, you can monitor the number of live viewers and read comments. Once you're done, your creation will stop being live and immediately become no better than any other old video, which you're welcome to delete from your profile.